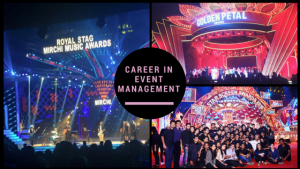 NIEM India Blog How to Build a Rewarding Career in Event Management Industry? How to Build a Rewarding Career in Event Management Industry? For everyone the definition of career building is different, so as for each individual choosing the career option is also different. Whatever the career you chooses it demands your mind, attention, focus and every single thing you have to use which can give you a rewarding career in event management. For making a successful career in event management it is important for the aspirants to be active, full of creative thoughts and most important to have a pleasing personality. Some of the people are born with these and some have to learn. They can get the training by inculcating some personality development tips or by opting for the course in event management in India. Know the customer’s needs from the event and make sure that you have discussed your understanding of the event with your customers. Surprisingly, people can explain the same instructions differently, so make sure you have fully discussed this presentation with your customers to avoid misunderstanding. When you making strategies and doing planning for an event, use the plan in the previous event and improve each activity. This means including the reflection time after the event so that you can record what is valid, what does not and make sure you have notes for future events. Think as you are a customer, to participate in activities. Where are the customers arriving? Where are the necessary things such as Toilet, refreshments, where is the key point of contact for the entire event? Can your customers have easy access to events and browse your events? This process should allow you to do something from making sure you do not forget to consider accessibility to improve the customer experience associated with your event.